For years, Toyota CEO, racer and general speed enthusiast Akio Toyoda has wanted to shake his company’s staid image—in particular Lexus, a brand that runs against top-shelf performance automakers like BMW, Audi and Mercedes. In Detroit yesterday, he fired his biggest shot in that direction with the stunning LC 500 coupe, soon to the brand’s new flagship car. It is perhaps their most dynamic performance vehicle since the $500,000 LFA, as Toyota’s luxury arm burnishes its premium sports-car credentials and closes in on the U.S. luxury sales crown. The LC 500 sports coupe, unveiled Monday at the North American International Auto Show in Detroit, accelerates from 0- to-60 miles per hour in under 4.5 seconds, faster than the Mercedes SL550. 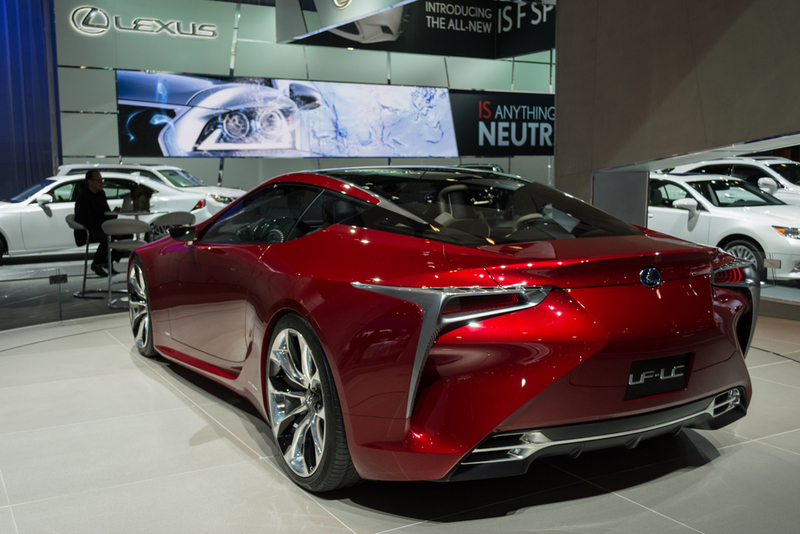 The car will cost more than $100,000, Jim Lentz, Toyota’s North American chief, said in an interview. The Lexus four-seater adds momentum to President Akio Toyoda’s push to form a more well-rounded reputation among buyers of premium cars. 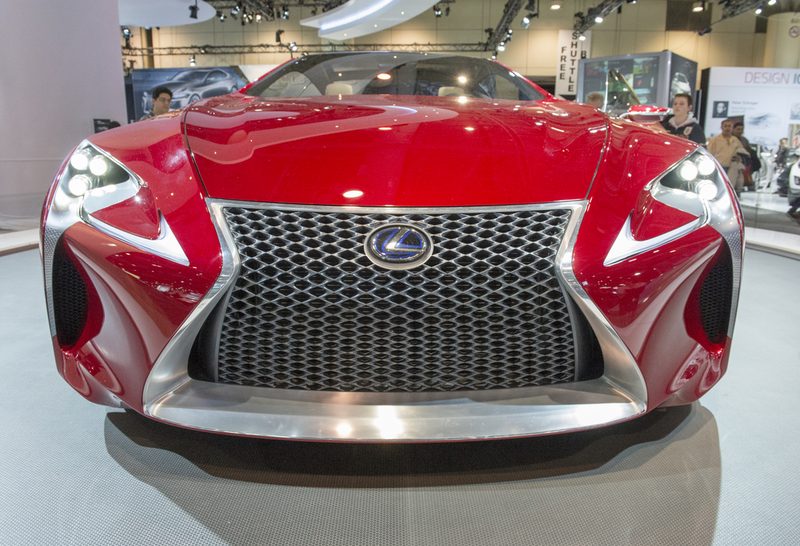 While the brand has come to be known for quality and reliability, the lack of sports cars or otherwise exciting models contributed to Lexus losing the U.S. luxury sales crown in 2011. Appearing for his first press conference at the Detroit auto show since 2011, Toyoda recalled a trip he made to the United States later that year. Americans shared impressions with him about Lexus vehicles, calling them well-made but boring to drive. “I was determined to make sure we became a more emotional brand, and that the words boring and Lexus never showed up in the same sentence again,” Toyoda said. 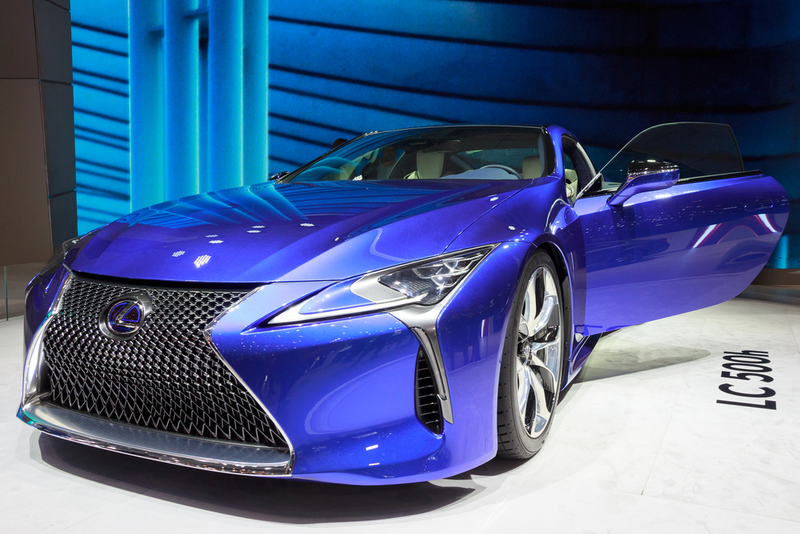 For the LC 500, Lexus turned to lightweight materials including carbon fiber and aluminum for the doors and trunk floor. Buyers will have their choice between glass and carbon fiber for the roof. The last model in the Lexus lineup to feature prominent use of alternatives to steel was the carbon fiber-intensive LFA supercar. 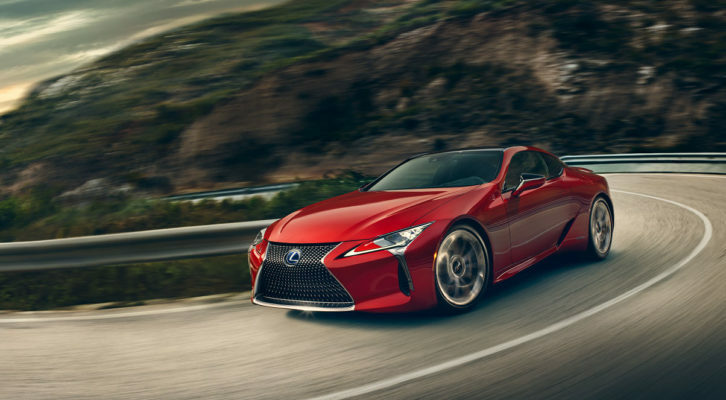 Under the hood, the LC 500 will feature the luxury car industry’s first 10-speed transmission, with the 5-liter V-8 engine found in the Lexus RC F and GS F performance cars. Lexus posted bigger U.S. sales gains than BMW or Mercedes for the second-straight year in 2015, increasing deliveries 11 percent to 344,601 cars and sport utility vehicles. The brand finished fewer than 1,500 units behind BMW and pulled ahead of Mercedes for the first time since 2010. In the current automotive climate, it’s an almost incomprehensible choice. The market so heavily favors crossovers and SUVs, and hybrids and electrics are widely regarded as the future. But Lexus’ new flagship is a big, expensive coupe with a wild design and an old-school naturally aspirated V8 under its hood. Then again, the best ideas often don’t make sense. Lexus design manager Tadao Mori and chief engineer Koji Sato both intimated that the car was a labor of love, one that sticks shockingly close to the Lexus LF-LC concept. In a world dominated by crash safety standards and bland normality, that’s increasingly rare—but that wasn’t easy. We’ll have a detailed breakdown of the differences between the two later, but the production car ended up longer and taller than the concept. Thank safety regulations for that. Still, it’s a striking machine, and one with classic sports car proportions: long hood, low roofline, short boot. The rear fender flares make that part wider than the front, and it sits on largest-in-class 21-inch wheels. Yes, this is the production car, not a concept. It’s nearly every bit as shocking as the LFA was, just with a more reasonable engine, architecture and price tag. Up front there’s the signature Lexus spindle grille, but it’s much lower than on other Lexus cars that have adopted it of late—and better integrated, in my book. Elegant and sporty, Mori called the whole package. “Organic but with precision,” in that flowery language car designers like to use. However you want to describe it, he says it’s the evolution of the Lexus design language, and one that will influence future cars. Sato said that this time around, the focus was on driving dynamics. “It’s back to basics,” he said. Torsional rigidity, natural behavior on the road. He stressed it’s a performance coupe, not a cushy cruiser. One could easily see it taking on the S-Class Coupe and SL; other competitors, he said, include the BMW 6 Series, Maserati Gran Turismo, and even the Jaguar F-Type. But perhaps the biggest surprise is that engine. Lexus eschewed a hybrid drivetrain or even turbochargers to stay with the proven 5.0-liter V8 with 467 horsepower. Sato explained the reasons for that. Power goes to the rear wheels via an all-new 10-speed automatic paddle-shift gearbox. While it’s a conventional auto and not a DCT, Sato said it happens to have the smallest and lightest torque converter in the world—and it can do shifts in a very quick 0.2 seconds. 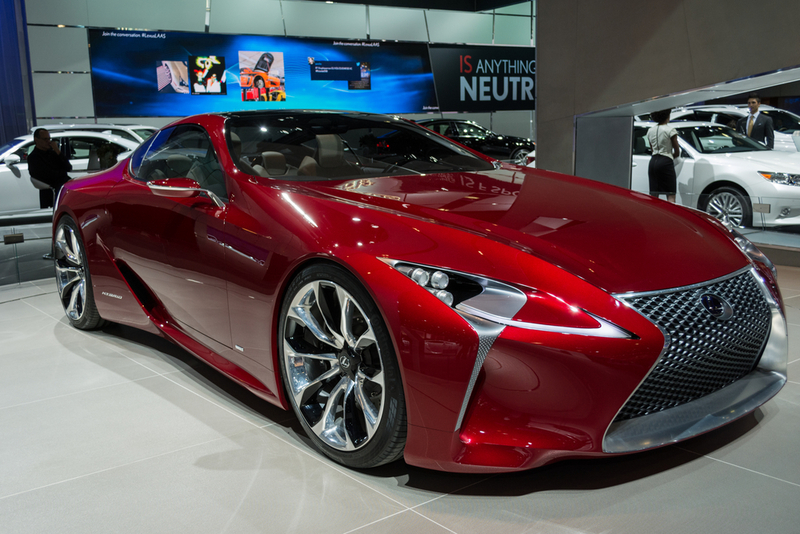 All in all, it’s hard not to be impressed with the LC 500. It will be months before we can get behind the wheel of one, but at least from where I’m sitting, it seems Akio Toyoda and the Lexus brand are finally putting their money where their mouths are when it comes to fast and interesting cars.